Carefully take a petri dish from the Biohazard cooler. 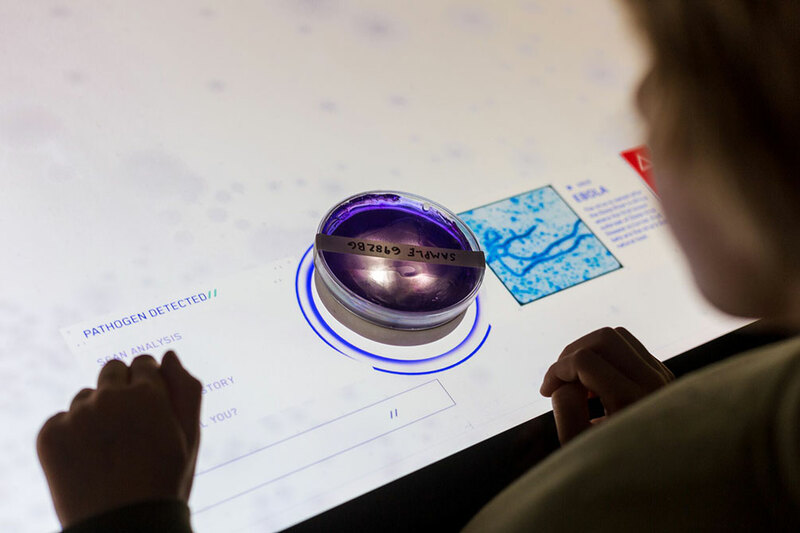 Place the unknown (and possibly deadly) sample on the surface of the touch table. And learn the answer to the critical question: Can it kill you? Placing these colorful petri dishes on the display brings up data about the microorganisms inside—their habitats, life cycles, and even their potential for causing illness or death. Of course, these dishes don’t actually contain dangerous pathogens like Ebolavirus or Plasmodium. 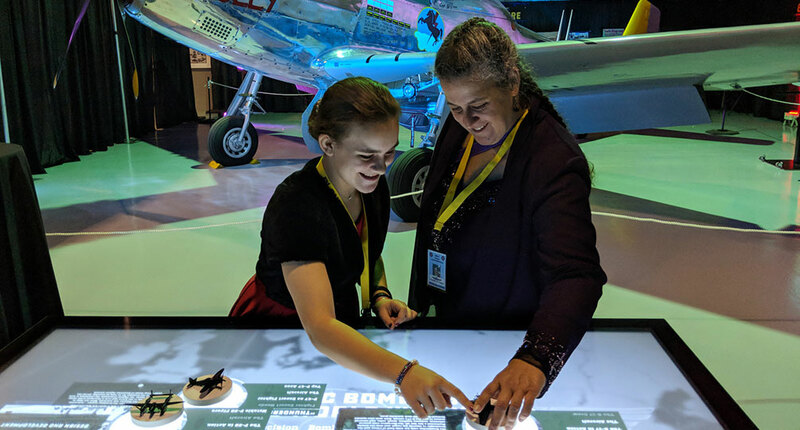 Instead, Ideum created this provocative exhibit as a demonstration of Ideum’s object-recognition software at venues like the Association of Science-Technology Centers (ASTC) conference and the Big Brothers Big Sisters Discovery Festival. How does it work? The base of each dish has a unique pattern of conductive feet. 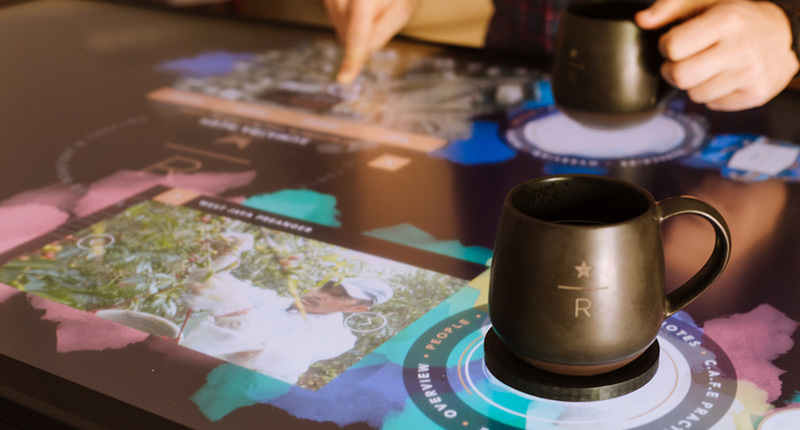 Ideum’s Tangible Engine software recognizes those patterns and activates appropriate images and information on the multitouch table display. 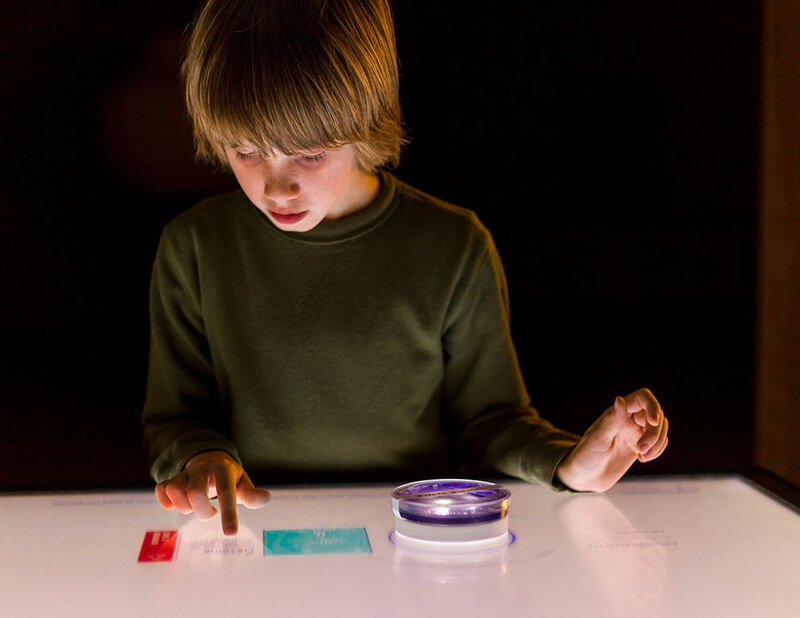 Tangible Engine is the first authoring software of its kind designed to work with projected-capacitive touch screens. We built the application using our new Tangible Engine Media Creator. This easy-to-use package lets anyone create engaging and educational object-recognition experiences. The Media Creator’s drag-and-drop interface lets developers quickly link images, animations, and texts to 3D-printed markers that can be attached to just about any kind of object—with no coding required. 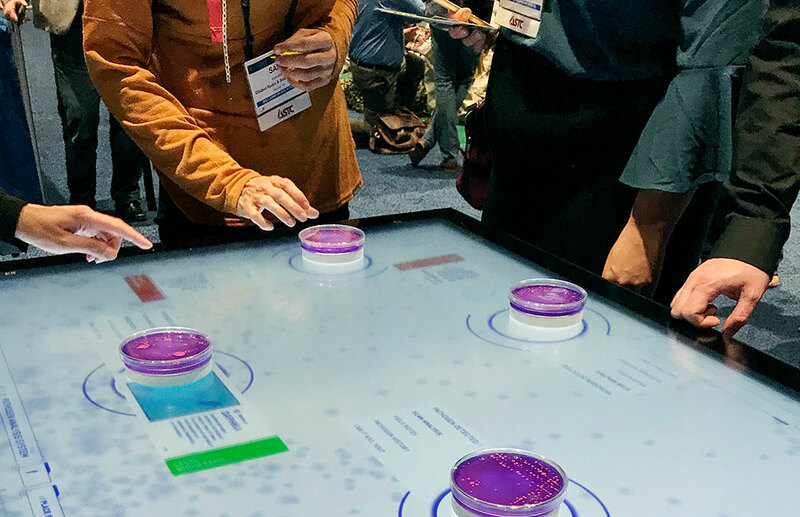 The Tangible Engine SDK and Media Creator are available for purchase with all Ideum touch tables with 3M projected-capacitive technology. Learn more about tangible-object interfaces in our latest white paper. Each object is associated with unique information. Exploring information is as simple as touching the screen. Data and imagery appear in customizable menus.